preview Archives - Blah Blah Inc. The Witcher 3: Wild Hunt defines why I love playing video games. It’s a shining example of a fully realized world that you can get sucked in to. Let me take a step back real quick and say: I have never played a Witcher game before, but that’s okay. Witcher 3 is a solid stand alone title that welcomes new players to the series and, yes it references stuff from previous games but not enough to get confused. You take control of Geralt, a very famous Witcher. 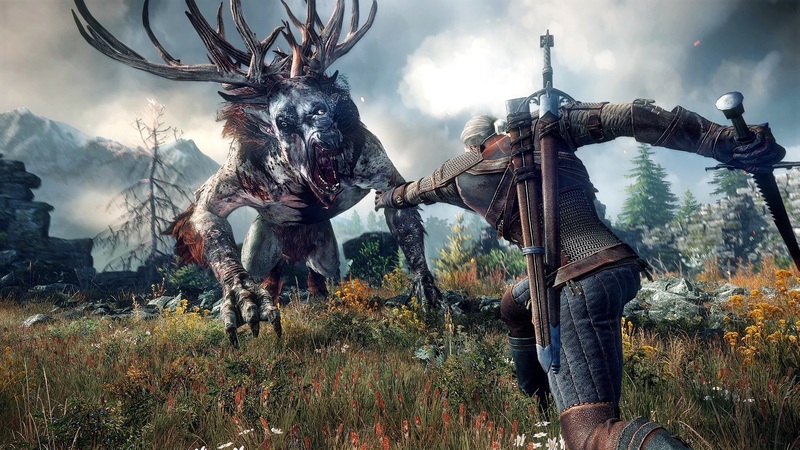 Witchers are pretty much monster hitmen; meaning, a desperate towns person might be having trouble with a monster or demon and they hire a Witcher to take care of it. The chronicles of Geralt can be found throughout a series of books and now video games, which end with this final installment. To be honest, the story is a little hard to follow. It has a simple concept, Geralt is on a quest to find his surrogate daughter and gets interrupted at every turn. The real name for this game should be The Witcher 3: Detour because every person Geralt meets sends him on another quest that’s out of his way, giving him the incentive of information about his daughter. Obviously, that’s CD Projekt Red’s, the developers, way of having you explore this gigantic world. Speaking of gigantic worlds, the in game world is absolutely massive. CD Projekt Red has gone above and beyond making a fully realized, immersive, and freaking huge world. Other previews of this game have said Witcher 3 holds 200 hours of gameplay and, honestly I can totally believe that. There is just so much to do it’s pretty overwhelming, but in a good way. So far, my only fault with this game is the combat system because the sword and magic play is fun but clunky. There’s been multiple times when I yell at my TV because three or four enemies jump me at once and Geralt doesn’t block all of them. Or, I’m fighting enemies in close quarters and some veer off camera and still hit me. This is a minor point though, but still a nuisance. The Witcher 3 is a big, beautiful and bold game. There’s so much to do I feel like I’ll be playing this game well in to the next year. It’s fun, mostly easy to get the hang of and pretty to look it. Once I beat the game my full review will be up.